Our Sr. 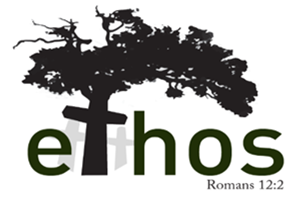 Youth program is called “ETHOS.” This is a Greek word meaning character. It is also defined as the characteristic spirit of a culture, era or community. We love Jesus and believe He cares deeply for each student. It is our prayer that we would be a community of people who are transformed by Jesus and love Him radically, and through the power of this love, that each student will become all God has called them to be! When Does Sr. Youth Meet? Join us every Friday night from 7:30 - 10:30 pm. During this time, we enjoy a variety of activities, interactive games, small groups, and much more! Event details are listed here . We highly value communication and desire to partner with you during these important years in the life of your student. Sign up to receive our monthly Parent Newsletter by e-mailing Shannon at [email protected] . If you are in high school and would like to stay up to date on what is happening in our youth ministry, please join our Facebook group: www.facebook.com/groups/291610760934722. You can also find us on Instagram under the name ETHOSTRIBE. This is a private group for students, communication and connection.